David: Hello and welcome to today’s webinar, The Top 10 HR System Selection Mistakes and How to Avoid Them. My name is David Richter. I’m CIPHR’s Marketing Director. And with me today is Helen Armstrong, Managing Director of Silver Cloud HR, an independent HRIS consultancy. Morning, Helen. Helen: Morning. Thank you for inviting me. David: Pleasure. For those of you who don’t know CIPHR, we’re a specialist UK developer of HR recruitment and learning software that helps organizations to attract, engage, and retain their workforce more effectively. Our solutions cover the entire employee lifecycle and we also offer excellent connectivity with a range of specialist HR technologies that integrate seamlessly with our solutions. In today’s webinar, Helen will be sharing some of Silver Cloud’s experience and expertise in helping organizations of all shapes, sizes, and sectors to select the best HR tech for their needs. The webinar should last for around 45 minutes, with about 30 minutes coming from us and then time at the end to answer any questions you may have. Before I hand over to Helen, we’re gonna kick off with a quick poll just to make sure you’re all awake and also to find out a bit more about you, our audience. So, the question is, where are you with HR systems. So you should see the four options now on your screen and they are, you have an HR system and you’re looking to replace it or you don’t have an HR system currently but are looking to get one. You have an HR system and are looking to benchmark it or perhaps another situation for you. So, Helen, given your experience, what are your expectations on the range of responses we’re likely to get? Helen: Well, bearing in mind the audience for this webinar, I would expect one of the top two. I think from our experience most people now do tend to have an HR system in place albeit maybe a legacy system or something that’s quite old and on-premise. So, I’m thinking maybe the top one will be the most popular but we’ll see. David: Yeah, okay. All right. I think we’ve had most of the responses we’re going to get so I’m just gonna close the poll now and we’ll be able to share the results now. So, you’re absolutely right, it was one of the top two that was most popular, it’s pretty much neck and neck between the top two. Actually, from our experience, it’s surprisingly common that even for very large organizations and they’re still getting by just using spreadsheets and documents, so I’m not surprised that there’s a lot of people in the audience that are still working without an HR system in place. So, fine, I’ll now hide the results of this poll. Thank you very much everyone for participating. I’m now gonna hand over to you Helen, who’s gonna take us through the top 10 HR system selection mistakes and how to avoid them. Helen: Actually, yeah, thank you. And just to say a little bit more about me and my experience and how I’m qualified to talk about this. So, I’m the Managing Director of Silver Cloud, we’re an independent HR and payroll technology consultancy. So we’ve been working in this space for 10 years now, working with companies of various sizes from 50 employees right through to 10,000 employees on their whole HR technology roadmap journey. So we do a lot of selection projects and we do a lot of support with implementations and then ongoing support. So, we’ve been working in the HRIS selection space for a long time now. So we’ve seen it go really, really well and we’ve seen it go not so well, and also learned a lot ourselves along the way. So hopefully today I can share some of the things we’ve seen not go so well so you can avoid them. I’m going to start with, I’m just gonna take us back just a bit a little bit about the HRIS market today. So, we’ve been talking about the cloud for a long time, most HR systems are now in the cloud, so you’ll probably struggle to find anything that isn’t cloud based. And this is really helping get HR teams online and to digitize. And we’re seeing a real need for people to start looking for this one source of truth, which is great. We’re really focusing on data analytics now and having that one source of truth from a people data point of view, is really important in achieving that. We need good data and system to help prepare for this buzz of artificial intelligence and automation that’s coming, so you can’t have artificial intelligence or automation without good data and without good systems. So this is really helping drive HR team to look at what they’re doing in that space. We’ve seen a real change in what people are asking for when they’re looking at HR systems, so even just going back two years, we used to get a wish list from an HR team about what they needed. Now we’re talking about the end user experience and the employees’ experience a lot more. So when we’re looking at systems with our clients, we’re really looking at what does it look like and is it user friendly and is it intuitive. That’s really important today. And mobile functionality, we can’t get away from that. So, Mobile tends to be in the top five wish list of any system selection project and it is essential, even if it’s not something that you will need as a business today, you will absolutely need it in the next few years, so it’s key that you’re looking at that when you’re reviewing the market. GDPR, GDPR is obviously very key to us. I’d struggle to argue that spreadsheets will keep you GPDPR compliant, so it’s really important actually to look at your data governance strategies and how you’re managing your data, and having a really good HR cloud-based system is a really secure way of doing that. You can control access, you can control who can see what, you can’t do that with a spreadsheet and spreadsheets are emailable, which is really quite dangerous. So HR systems are good for solving that. HR teams need to have good data and systems to help work with the business, to help them with their decision making, you need data for that. And to get the data you need to system, so that’s the key issue. And reporting dashboards are coming up all the time for HR but also for the wider business now. We’re getting more and more requests for people to combine HR data with finance data and sales data to get a truer picture of what the business is doing. Integrations are really key. So, again, two years ago, we were barely touching upon integrations, now it’s all about integrations. We need to integrate to everything, whether it be a finance system or Slack or something else that a company is using and we’re still having this debate over whether to go with a single platform from the days of where we used to have bigger ERP systems towards best of breed approach. And I’m gonna touch on that a little bit more as we go through the top 10 mistakes not to make. We’ll start with number one, being unclear on the business case. Certainly from our experience, we’ll often go into an HR company and we’ll say, “Okay, so what are you trying to achieve here?” And typically the answer is, “Well, we’ve got a legacy system, it’s not really doing what we want, it’s on-premise, we want to go online, we need a bit more service so we need a new system.” That’s absolutely great and that makes sense, but you need to be really clear on what your business case for it is if you want to get it signed off. So we really work with our customers to say, “Okay, what are you actually trying to achieve with this HR system?” And if you need to get the buy-in and a sign-off throughout the senior leadership team, you need to start talking about the impact of that. So one of your reasons that you might want a new HR system is because you want to improve the employee experience. Absolutely. We need to do that. Millennials are coming in, they’re using Spotify, Google Maps, and, you know, all the other techy stuff on their way into work. They need the same experience when they get to work and certainly when they’re interacting with HR. But actually, why do you need that? What is the impact of it? It’s because they’re gonna have better engagement, they’re gonna see you as a company of the future, they’re gonna talk positively about you outside of work. There’s lots of other reasons to doing that. And as HR leaders, you need to be clear about that and put that in your business case. 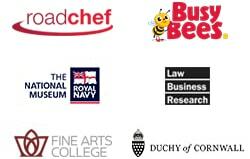 And even better, if you can measure it, that will really help drive, get this business case through. And be really clear about your goals and priorities for the new system. So don’t just think about it as a big wish list of HR functionality that you want, really think about what it is you’re trying to achieve with it. It could be the user experience, it could be you’re on a journey to automation, it could be that you’re trying to get to some predictive analytics, but document what that is and get that in your business case so that your senior leaders can see the bigger picture of why you’re trying to do this. Make sure you’re always keeping your employees in mind with it and that’s really running through your business case, it’s not just about you as an HR function, it’s about the whole business. So talk openly in your business case about why you’re doing this. And try and keep it simple. So, you can get overwhelmed, certainly when you’re going through a selection process about all the functionality that’s out there, but actually, you’re not gonna want to implement every single tiny thing. You’re gonna want to be doing a few key things just to make your employees lives better and get the data that you need out of it and to simplify your processes. So really think about that and make sure that’s reflected in your business case. And also use it as an opportunity to tell your leaders that you’re gonna use this as a reason to evaluate how you’re doing things. So what you don’t want to do is build your existing processes into a new HR system. You’re not gonna get the benefit from your HR system if you’re doing that. Just be clear that you’re gonna use the HR system to help you look at the ways of working and where possible, you’re gonna streamline and use the software to the best of that ability. And in order to do that, you need a bit of change management. So make sure your business case covers off how are you’re gonna manage that change because you do need to prepare for it. If you’re dissolving quite a lot of processes to HR managers, they’re gonna…sorry, line managers, they’re gonna need support in doing that. So make sure your business case covers all this stuff off. And there are some real key measures you can use in your business case, and if anyone wants to contact us after, we’ll certainly be happy to share our thoughts on that. But a lot of it comes down to data and like I said, showing the impact of what you’re trying to achieve to the bottom line, not just what you want out of it from an HR point of view. So that’s number one, that’s the business case. Number two, we find not defining your decision-makers early on can disrupt a selection process. It’s much easier to get buy-in from your senior leadership team at the beginning of a project than partway through. And even if they’re verbally kind of giving you agreement to go ahead and do it, that’s great, but what we’ve often seen as it gets to the end point, when you’re getting to contract signing, getting the final budget signed off, and then they start asking questions about the process that you’ve been through. And, “Oh, I’ve got an ex-colleague that whatever system it was in another place. Could you look at that one?” So try and work out who is making the decision early on and getting them involved in the process at the beginning of the selection project. Don’t just wait until the end for them to sign it off. And be clear who those decision makers are. So it’s not necessarily the person that’s signing the contract. You’ll find through your journey that people within IT and the finance team, maybe even wider than that, your sales team, your marketing team, they’ll all have an interest in this and they’ll all have a certain amount of decision-making in it because it will affect them because people data now goes across the business. So make sure you’re mapping who those people are, what they might have an interest in, and how you’re going to involve them in the process, so they can’t get to the endpoint and then put their hand up and say, “Okay, did you consider this?” Make sure they’re asking those questions at the beginning. Number three, and I’m really passionate about this one, is not doing enough research. So, we can often go into customers and they know they want a new HR system and it can go one of two ways sometimes. So either they underestimate what HR technology is able to do for them in this day and age, sometimes we’ll get what they think is a really novel idea that people will be able to log in and use self-service to update their own data, to which we have to say, “Yeah, we’ve had that for quite a long time now. Actually, we’ve moved on quite a bit from that.” To maybe a CEO who thinks that an HR system is gonna do the world and automate everything and they’ll be able to get rid of the whole HR department. Neither of those are correct and so the best thing you can do is start doing the research before that to help manage expectations with it. If you’re thinking even not today that you’re looking for a new system but you might need one in a couple of years time, start looking at what’s out there, not just for your project but also just for you knowing that HR tech is here to stay, artificial intelligence and automation is not going away. So you really need to understand HR tech and what it’s gonna do for you and your HR department. So start going to conferences, they’re a really good way to see what’s out there. So we had Unleash last week in London. There was big exhibitions where lots of vendors were showing what they could do. We’ve got the free CIPD event, which now called the Festival of Work, which was the software show. Go along to that, every tech vendor will be there. Go and see what they’re doing, go and see what they’re working on, what’s new in the market. But really start to get a feel for what’s available. It’s a bit like buying a house. You wouldn’t go and buy a house based on just your sales brochure. You’d research the area, you’d research where the schools were, how close it was to the train station. You need to do that almost with your HR tech journey. So go and see what’s out there and then it will really help you start in the right place when you come to do your selection process and it will open your mind a bit more. So the other issue we sometimes come up against is that customers who have a real defined view of what they think they need whereas actually, there’s lots different options out there. So if you research the market, you’ll have a better understanding of what’s available to you. If you have budget for it, you can get a specialist consultant to do that. So we live and breathe HR technology, I spend all week researching it, what’s new, what’s coming, what’s happening in the market. You know, that is our job. It can take you probably 12, 14 weeks to get the information that we’ll be able to tell you in probably one meeting, so it doesn’t necessarily need to be us or, you know, a bigger consultancy. There’s lots of independent agents and consultants out there that can help you with this. If you can have budget, it will probably save you money in the long run to do that. And then there’s also other sources like LinkedIn, there’s a really good Facebook group at the moment if anyone’s on Facebook called HR Ninjas and it’s quite a new Facebook group, but there’s lots of talk on there about HR systems and what HR managers are looking at. So go on those groups and have a look at what’s been said in the past. Sometimes you get good information, sometimes not so much is useful, but have a look and just see what’s out there, still part of doing your research. And references, references are really key and you can sometimes get references from these LinkedIn groups and Facebook groups about who’s been through the projects recently. But don’t always take the vendor references, is what we would say. We can certainly put you in touch with people that have used all sorts of systems. You’ll get some really good information from people that have used software before and they’ve implemented it. So find those people for yourself if you can and potentially even ask for references from people that maybe not renewed a contract with a vendor, that sometimes is really key. So a vendor will not typically give you that information but if you can find people, then that’s often really useful. So number three, do your research even if it’s not for now, it’s for the future, but you need to get up to speed with what is happening in the HR tech world. Number four, not fully exploring the system type. So I mentioned briefly there was this talk about fully integrated and single platform versus best of breed. We’ve been talking about this for a long, long time as an industry. To be really clear about what that means, so fully integrated tends to refer back to, you know, a few years ago where we were all looking at Oracle and all the, you know, big SATs and they used to have modules for everything including finance, marketing, whatever else is needed. And now it tends to mean an HR that is really HR and payroll, but might also have lots of other modules with it. Their systems are great, they’re good if you have quite generic requirements. But the other approach is the best of breed approach which is where you look at getting the best module for each of the different areas in HR. So you’ll go out and you’ll look for the best core HR module, look at the best recruitment module, the best learning management system. And with integration today, you should be able to easily integrate between all of those, so it becomes seamless from a data point of view. But really learn what those two mean and which one really you need as a business. If you’ve got some real specific requirements about recruitment or you do a lot of it, I would suggest you probably need a really good recruitment system that’s gonna manage that, same with learning, if you’ve got a real learning culture, you might be best to go and look for a big learning system that can bolt on to your core HR system. But take a look at the options and don’t be scared about doing one or the other. Just keep a really open mind about them and research what that means to you. Certainly when it comes to payroll, there’s a lot less HR and integrated payroll systems on the market than they are just HR payroll systems. So be really clear about that, I would say, because we often go into customers’ meeting and we must have an integrated HR and payroll solution and sometimes that is absolutely true, that they do. But it’s not always the case. You can easily integrate out into a payroll system these days. So just keep an open mind on that. What you often find is if you’ve got a payroll module as part of an HR system, the HR system would have been built with payroll in mind. So it can sometimes become a little bit compliant led, which might be what you need, but it might not be. So just look at the options of those or use your experts to advise on that and what’s best for you. Integration is absolutely key. So, regardless of what you’re looking at, make sure that you can integrate even after that. As soon as you’ve got your HR system and people start seeing what amazing data you have in it, they will want it. So you need to be able to give it to them and in the format that they need it in. Some older legacy systems can’t take a data feed, so it’s not always the HR system that is a problem, it’s the receiving system. But make sure your HR system you’re choosing can do that and you’re clear and getting advice from your IT team about what you might need for that. That’ll keep you future proofing it if you like and never be outdated. And really make sure that you’re talking to all the other functions about what their needs are from a data point of view, particularly when you’re thinking about data integrations. It’s really important that you know what they’re doing and also what their approach is to the, you know, integration versus the best of breed approach. So we’ve seen a lot of finance teams now they’re going with the likes of Concur for expenses or whatever else, so they’ve gone best of breed. But it’s good to get a steer from your peers about what they’ve done in their functions so that you can pick some notes from them and see what works and what doesn’t. So that’s number four. Number five and I could probably speak about it for an hour on its own, it’s not having a selection process project plan. So regardless whether you consider this to be a project or not, if you’re embarking on a system selection project, it 100% is a project and it can get quite complex. So, before you begin anything, I would really suggest you sit down and you document all the steps that you think you’re gonna need to go through and the resources that need to be involved in it, and you properly plan it out as if it was a project. And we’ve got some example project plans if anyone wants to get a copy of that and the steps that we go through. But it’s really key in making sure that this part of the process happens in a timely manner. So a bad selection process is one where it goes on for far too long and we’ve seen customers that have tried to do it on their own and it’s taken over a year. There really is no need for it to take that long. And the longer it takes, the more chance there is that things are gonna change and you’re gonna have to start again, not just within your own business. You might have an acquisition or someone might leave, but also with the software vendor. Software changes a lot in a year, so try and keep it the shortest selection project plan time as possible. I mean, three months is probably realistic. No more than that, but document it. Make sure you’ve got the resource that you need when you need it. So one of the most key times for that is when you’re doing your requirements gathering or your information gathering. You need to make sure that you can get all the people you need at the right time in the room and at demo stage as well. There might be lots of people that you need to involve in your demos. If you’re a smaller team, it’s quite easy, but if you’re a bigger team you might want members from the IT team, from the finance team. So at the beginning of your project training stage, get those placeholders in diaries, try and work forwards when you think that’s going to happen and get placeholders and diaries for those people are available. And you’ll also need to do that in conjunction with your procurement team if you’ve got one because they might have some specific ways of doing things that you need to make sure you factor in. If you do have a procurement team, do make sure that they’re looking at your project plan and that they’re happy with the timescales and that they’ve got some input into it. The other reason that it’s important to have a project plan is because you will want to communicate that to the software vendors that you’re working with. So what you’ll find, and sorry David, is once you start your HR selection process, you will put the feelers out to a number of vendors and then you’re in their hands. So you will get contacted by all of them very, very regularly wanting to know where you are, what you’re doing, trying to make sure that they remain at the top of your mind all the time. If you’ve got a documented project plan, it makes it easier to give it to them say, “Okay, this is what’s the time scales are, this is what we’re working to, this is when you’ll be contacted, this is when we’re doing demos.” And it just keeps them, you know, clear as to when they’re gonna be working with you, when their resource is gonna be needed, and to not bother you so much, that’s the hope. But also just to make sure that they can factor time in. And so I’ve seen customers that make the assumption that the software vendors are out there and they’re available at any time to do a demo. Actually, that’s not the case. You know, if they have got unlimited availability, probably you want to question why, but if they’re busy they’re gonna need to factor time in to do those demos, but they also do need to prepare for them. So to you as someone that’s watching the demos, you might think they’re just gonna turn up and they do this day in day out and, you know, it’s their bread and butter. But actually there’s a lot of prep that goes into those demos. So do make sure that you’ve given them time and enough forewarning so that they can do the best demo that they can for you. Don’t just assume that they’re always available. And like I said, don’t let it drag on too long. The longer it drags on, the more things will change and the more you might have to start again. And we’ve seen some customers start this process time and time again and it never actually gets to the point where they can make a decision. And like I said, functionality changes all the time. And a lot of this is working through your selection process project plan right through to the end to the decision-making point. So I’ve also seen some companies get to a certain point, the HR team have got a preferred supplier, they know where they want to go, but actually their project plan didn’t quite take them to the point of getting a contract signed and then that’s where it slows down. So make sure that you cover it right to the end of the process and that whoever is involved at that contract signing stage is happy with the timescales as well. And that also they’re in the office. We’ve seen other scenarios where someone’s gone away for business for three weeks and that delays the project for a month because you’ve got to wait for them to come back to sign something. So just follow it all the way through and be really clear on that and communicate it all the way through. And the next most important thing in my view is having a project manager. So don’t assume that this project is going to run itself. So as we know, HR teams typically are under invested. They don’t have lots of additional staff that can pick up big projects and, you know, you’re firefighting a lot of the time. But actually, these processes are quite time-consuming. So you do need to have someone that’s running it and has the capacity to run it. So you’ll want to effectively assign a project manager to it. And it doesn’t necessarily need to be a full-time role, but it does need to be a role in itself and a role to keep things moving. And it’s key to think who the best person is to do that. So, often it will be an HR manager and that’s great because from our point of view, if it’s someone that’s got a real interest in the end product, it will be a better process. We sometimes see IT project managers are parachuted in to help manage these projects and it does often become a bit of a tick box exercise because they just need to get it to the end point of making decision. But if you’ve got an HR team member that’s really gonna be an end user and is really passionate about it, then they are really key to running your selection process and they’ll make sure that, you know, there’s no part of the process that’s been missed and that everything is very thorough and everyone’s thoughts are included in it. And probably the other thing I’ll say is think about who is going to run the system once it’s been implemented. This is another key area that HR teams often don’t factor into, particularly when it comes to the business case skills to keep an HR software, get an HR software running and keep it updated and keep the data accurate and audited and answer all the support queries. The skills for that person is very different to the skills of an HR generalist. So my first question when I go and see any potential new customer is, “Okay, so who’s gonna manage this software when it’s in?” And probably 80% at the time, they’ll say, “Oh, well, we don’t have a role, but we’re gonna manage it within the HR team.” That typically doesn’t work. You need someone that’s really passionate about this stuff and that’s really focused on technology and automation and how to get the best from software. And like I said, that’s a very different skill to an HR generalist. So if you have got budget or you’ve got someone in your team already that’s showing that passion, then really use that and make sure if you haven’t got it that you’re putting in your budget to get it. There are lots of people out there that are willing to do it on a part-time basis as well. So for us as a business, we’re always looking for HRIS specialist. There’s lots of people returning from work after children or who have got caring responsibilities that are willing to work part-time, really tap into that market. It’s a really good one, but if you can get the same person that’s gonna manage the system once it’s in to actually be part of the process of selecting it, then you’re gonna have that continuity and that’s where we see it work best, when you’ve got a say an HRIS manager that’s running the project from start to finish. Because it is hard to start looking after a bit of software when you haven’t understood the reasons behind why it was selected in the first case. So really think about that in the resource and make sure that whatever you decide you need that that is put in a business case for it as well and where possible, to get some external advice. So, for companies like us we often come in and we act as the project manager and we can help get things through pretty quickly, but you also need to think about who’s gonna manage it after so it does need to have that continuity. So it won’t run itself, that’s number six. Number seven, not managing expectations. So we see this frequently. Part of this comes from the requirements gathering process. So we call it as a business, the information gathering process. So going back probably 5-10 years ago when systems weren’t in the cloud and they were all on-premise, you used to be able to go out, collect your requirements from an HR point of view, and then you’d give them to a consultancy to actually build what you needed into a system. That doesn’t happen anymore. With cloud-based systems, you can configure them but you can’t build anything from scratch and nor would you want to. So, position that very, very carefully. So we call it information gathering. So what we do when we meet with all the relevant stakeholders and that’s not just HR anymore, that’s IT, finance, end users, recent new starters, it could be anyone within the business, CEOs, CIO. We go out and we gather information on what they see are the current frustrations and what they think could be improved upon, rather than going through the tick box exercise, if we need to record someone’s name, their known last name, their last maiden name. You know, we don’t do that anymore. Any HR system can do that now. So, we call this information gathering so that people aren’t coming away from that meeting thinking that I’ve told HR exactly what they want and then they’re disappointed when they don’t get it when it actually goes right. So it’s about managing those expectations. And again, this comes back to doing your research as well because we’ve had scenarios where we’ve spoken to senior leadership teams as part of our information gathering process and their expectations are way above what any HR system can do right now. So, at home, technology is really advanced, in business, it’s not quite there but it is getting there. So I think sometimes people that aren’t aware of HR tech think that they’re gonna get the same experience with their technology at home. So if you put that on your research, you’ll be able to manage that at the outset rather than let them go off down a path of thinking that the whole HR team will be automated and that it can’t be yet and if we want it to be, we won’t be in business. So manage those expectations and make sure that you’re communicating what you’re doing with the project all the way through and so that’s really key going back to who your decision-makers are, who your stakeholders are gonna be for this project, manage expectations as you go through and communicate clearly. And if you can put a comp plan together as part of your project plan, then that’s even better. So number eight, being unrealistic. So this is one of the other things that we sometimes come across. Sadly, there is no HR system out there that will do every single tiny thing that you will need it to do and sometimes we start working with customers that expect to get everything that they need. It really doesn’t exist, so please keep an open mind when you’re looking at things. Companies are so varied, requirements are so varied, you will never find an HR provider in the tech industry that can give every company everything that it needs. So definitely keep realistic and just decide what’s most important to you. So you’re gonna end up with a list of maybe the top 5, top 10 things that are really key priority. Don’t get fixated on all the other things. So you’re gonna want things like a good end user experience, good integrations, great workflow, really go through work out what the best things are for you and don’t focus on all the other tiny things that might not be must-haves. So one of the other things that we do is when we’ve been through our information gathering stage, we’ll ask our HR teams to go through and say which are the priority items and we start off with everything being a must-have and then we have to work with them to say, “Actually, is that a must-have?” And often it’s not. So be really clear about that and don’t be unrealistic with your expectations. And also ask about the road map and don’t discount it. It’s actually really important to ask your HR tech vendor where they’re going. So you might have a key requirement for you that’s relevant for you today. It might not be existing in the software that you’re looking at, but it might be coming. So don’t discount that. You want to work with a vendor that is gonna be with you for a long, long time. So really look at their roadmap, look where they’re putting their development, and don’t just count it as you’re making the decision. If it’s not there today, it might even be there by the time you implement it. So do talk that through with your vendor and get some clarity on it. It’s really important. Be realistic in your demos as well. So we often have worked with customers where they almost try to catch the vendor out in the demos. They don’t give them enough information, they give them a real basic agenda and just say, let’s see how you get on. You want to build a really good relationship with your vendor, so give them as much information as you possibly can. You want to get the most out of it, so don’t try and catch them out. If you find they’re going down a path in the demo that you really don’t want to see, just stop it and say, “Actually, this isn’t relevant to us,” and just support them through that process. Because you’re not gonna get the best out of them if you don’t give them the information that they need and they’re not mind readers. And you also need to allow them time to show you what their USP is, their unique selling point. So they might have been working on something that, you know, you or no one else’s even thought of. So give them time in the demo agenda to actually show you that and show you what they’re proud of. It might be something you haven’t thought about or thought that you needed. And again, with integration, you can manage with a system that doesn’t give you everything that you particularly need because you can possibly integrate out to other systems. So do keep that in mind. If there’s a tiny part of the system that you like a system for all other reasons but one small part of it, there are sometimes ways to get good workarounds. And just think about your processes. So I’ve often been in meetings where an HR manager is really focused on a really complicated part of an HR process and we’ve talked about it in depth and we’re talking about it with a vendor and it’s really complex and then I’ll say, “Okay, so how many people is this actually affecting on a daily basis?” And it might only be a couple of people a year. So don’t get focused on those real minority situations. We tend to work with the 80/20 rule which you hear a lot of but make sure you’re choosing a system for the majority of the end users not necessarily for the minority situations that you might be able to deal with, with a bit of a workaround. So be realistic in your approach. Number nine, the price. So there’s always a deal to be done and don’t forget that. You always manage to knock them down in one way or another. There’s lots of ways of looking at pricing, so typically now with cloud-based systems, you’ll have an annual license fee based on the number of employees you’ve got. There might be a support charge on top, sometimes it’s included, and then you have the implementation fee. But really look at the annual license fee and see what, you know, what you can get that down to and also think about what you might need in the future because it might be that you’re planning to acquire a new business or you think you’re gonna double in size in the next few years. Have those conversations with your vendor because it might be that you can buy extra licenses now at this point and get a better deal on them. You can make some good savings that way, but really look at it and see if you can benchmark it if you can. So make sure that that’s been really detailed, have detailed scoping before you actually sign anything. Work with your vendor on that, make sure they’re clear on what you need to implement and how you want to implement it. Whether you’re gonna do, you know, a big bang, everyone launches on the same day, whether you’re gonna phase it. They all have an impact on the cost, so do make sure you talk that through. Get some external advice on it if you’re not sure about it, but that is really where you can come unstuck with the costs. And also remember, for your business case, that whatever the vendor is quoting you for implementation and how much resource is required, typically the rule is you’ll need the same amount internally to do it. So there’s almost like a one-for-one rule there. Don’t forget that in your business case you need to have time for them to do it. They don’t come in and just implement it for you and switch it on, you do have to be involved in that. So that’s the price. And then last but not least number 10, the small print. So, again, we sometimes find there’s issues with the contract when it comes to implementation typically because someone will say, “Okay, when are we implementing the mobile apps?” And then you’ll get to hear that you haven’t actually planned for or paid for it and it’s gonna be an additional cost. So really check what you’re signing for, absolutely. Get everyone else to check what you’re signing for, ask your vendor what is not included in this as well. So, again, sometimes there’s a bit of an issue with expectations where maybe DocuSign or a Broadbean integration has been mentioned throughout the sales process and a customer’s assumed that was part of the package. They rarely are, sometimes they might be but they rarely are. So ask the vendor what is not included in this that you need to be thinking about and really triple check that paperwork. And if you’ve got a legal team, ask them to do it too. You’ll probably want your IT team to check it from a data security point of view and to look at the SLA than anything else that’s in there that you can’t check this stuff enough. And once you’ve signed it you’ve signed it, so do make sure that you’re reviewing it against what your requirements are, what the discussions were in the sales process, and then making sure that that’s all covered in the contract. And again, don’t be afraid to seek professional advice on it. We look at contracts day in day out. We’ll be able to ask the right questions. But the small print is key. So there are my top 10. So just to summarize, it really comes down to doing your research, doing some really good planning, and then making sure you’ve got the right resource and expertise in the right place at the right time. And hopefully, I mean, there’s probably more examples I could give you, but hopefully that will steer you in the right direction and your project will be a successful one. David: Helen, thank you very much. That was excellent. And those of you in the audience, you can tell that the presentations come from an independent consultant because we would never have encouraged you in a million years to start negotiating hard with us on price. [crosstalk 00:35:54]. So we’ve now got a bit of time for a Q&A session. A few have come through already. If you’ve got any questions or comments for Helen, please use the webinar control panel on your screen. So to start off with the questions we’ve had so far, Helen, the first one is how do companies generally feel about being in the cloud? Do you find there’s resistance to it? Helen: Yeah. Less so now actually. That’s a good question. Probably in just two years ago, we’d still be talking about the cloud and positioning that, but I think what we’ve found is that a lot of other functions have already gone to the cloud, so with their expenses module or, you know, other finance systems. The precedent has already been set, so less so now and we’re actually finding it’s a lot more secure than what HR teams are currently doing in their spreadsheets and everything else like I mentioned before. So, yes, the argument is not less so much anymore, it’s just a given I think. That’s the way of the world. David: Yeah. And I think most credible HR tech vendors like ourselves, will have some accreditations that they can point you towards particularly ISO 27001. Helen: Yeah. Absolutely. We get asked about that lot. Yeah, that’s key. David: Okay. The market is pretty busy, how would you start to whittle down the potential vendors as a starting point? Helen: Yeah. It’s a tricky one. Because the software market’s changed, so probably five years ago, you just have a few big players out there, now there’s lots of different HR systems on the market. So you could spend ages on Google, we’ve actually developed a HR selector tool on our website. I haven’t got our website, and you got to put in there if you’re global, what company you are and it will help you just narrow down that list. But as I said, HR tech’s changing all the time, so there’s new vendors being added all the time. So you need to keep up to date with it, but that’s a good starting point or you could drop me an email, I could probably point you in the right direction if you tell me your high level requirements. David: Perfect. Thank you. Third question, how do you get buy-in from senior management for a new HR system and what would you recommend is put in the business case? Helen: Yeah. Talking numbers works best. So, typically is, HR people and I’m an HR professional myself at my background, we like to focus on the people and all the nice things that HR can bring us, but actually we really need to focus on the numbers when it comes to your business case. There’s some really easy metrics that you can use to actually show the value an HR system will bring and to look at how you’re gonna get a return of investment. And it’s things like getting your recruitment done quicker, getting people on board is better, you know, streamlining. There’s lots of measures and we’ve got some calculations that we’d be happy to share with people if they wanted some help in knowing what to put in a business case, yeah, numbers, we like numbers and data. That’s always good. David: Perfect. Thank you very much. Just talking about being able to point some people sharing some of the numbers that you might want to include in a proposition for the business case. We’ve had a few people ask whether they could see a sample of a project plan and also any of the information gathering templates that you could share. I don’t know if there’s anything on your web site perhaps. Helen: There are some resources on our website but if anyone wants, my email address is showing, if anyone would contact me directly then I can certainly give them something a bit more relevant. Happy to help. David: Thank you very much. Somebody has asked about the best of breed approach and does it always come at a greater cost than trying to get everything from one supplier? Helen: It depends on the type of business really. Typically if you are a smaller company, buying lots of different systems is possibly going to be more expensive, obviously it depends which system you’re gonna go with. So you’ve really got to look at it on a case-by-case basis. It depends how you’re talking about costs though, so it comes down to that business case and return on investment. The cost isn’t just for the software, you’re gonna make savings in other places. So if you’ve got a better recruitment system that can actually reduce your agency cost then, you know, overall it’s not gonna be more expensive, so it really depends on what the reasons are for the best of breed approach and the company. David: Yeah. And also just moving outside of what might be considered relatively standard people management functionality, as an example, CIPHR integrate with a school management system, one of our key sectors is independent and state schools. Now, CIPHR as a company, we’re incredibly unlikely to ever develop our own school management system, but the ability to integrate with these providers adds to the value that the HR system is able to provide. So, in a sense, yes, it’s more expensive because you’re getting some third-party functionality or accessing a third-party system but actually the value that that’s able to deliver to the whole organization is really quite massive. Helen: Yeah. Absolutely. And we’re seeing that more and more. David: Perfect. Thank you. That’s all that all the time we have for today. So thank you very much for joining us today and thank you again, Helen, for sharing your expertise. If you’d like to find out more about Silver Cloud’s independent HR tech consultancy services or CIPHR’s HR and recruitment software, for those of you who are interested, our next webinar is with the employee benefits specialists, PES, on the 30th of April. We’ll be looking at how and why to take your employee benefits online. So if you’d like to automatically be registered for that, type sign up in the Q&A box to be registered and we’ll make sure you get a space reserved. Okay? That’s it from us. Thank you very much. 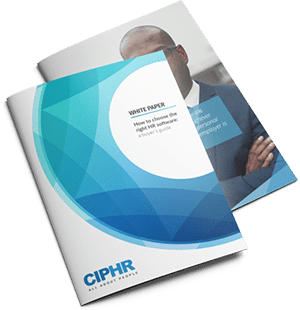 Helen Armstrong from independent HR systems consultancy Silver Cloud HR joins CIPHR’s David Richter to discuss the most common mistakes organisations make when choosing HR software – and how to avoid them.